A strong indictment, by Peter Watt, of the “drug war” and the large banks and wealthy bankers who profit from it. Unfortunately, he leaves out of the picture the ‘liberal’ (and likely mostly Democratic Party) apologists for the “drug war” who repostured their concern for militarization of the globe by the USG under the guise of the “war on drugs” as it became clear that the Democratic Party Presidential candidate would win the 2008 election. Here, of course, I mean Amnesty International and the other DC-based beneath-the-belt-way “human rights” organizations. – Ed. Attempts to rescue the brutal past from historical amnesia and indifference have been an immense challenge for Argentine, Guatemalan, Salvadoran, Chilean, Paraguayan, and Uruguayan human rights campaigners and victims of political repression, and it has taken decades of persistence and direct action to bring any of those responsible for past crimes to trial. One wonders how future activists will confront the murderers, torturers, politicians, and bankers of the drug war in Mexico. 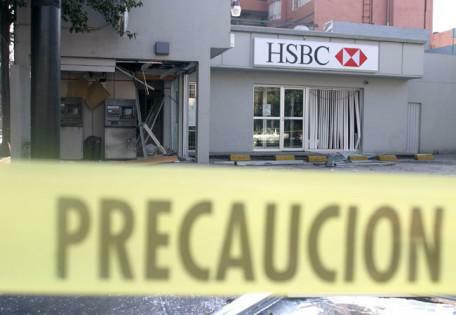 Will the respectable men and women of the international banking industry, for example, who enable the carnage and chaos by laundering billions of dollars of cartel money, ever face jail sentences for their active complicity in one of the planet’s most violent criminal industries? Please read the rest of this piece at Peter Watt’s NACLA blog here.